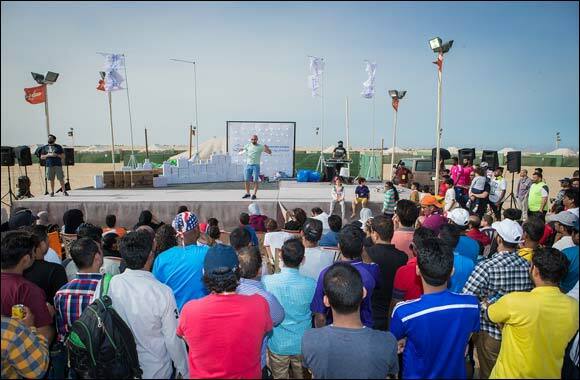 The busy fun-packed event, which was held at a private camp and brought together the employees and their families for a chance to engage and interact with colleagues and their relatives in a relaxed environment while enjoying some friendly sports and physical competitions. Employees, alongside senior management from Fouad Alghanim & Sons Automotive Company, the exclusive representative of Audi, Lamborghini and Škoda in Kuwait, embraced the occasion and took part in a range of activities. “This event activates personal communication channels among employees and enable them to meet colleagues from other business units. Therefore, attending this open day is a testimony of the teamwork spirit that our excellent team has always embodied.” He added.